Looking to add a new room to your home? 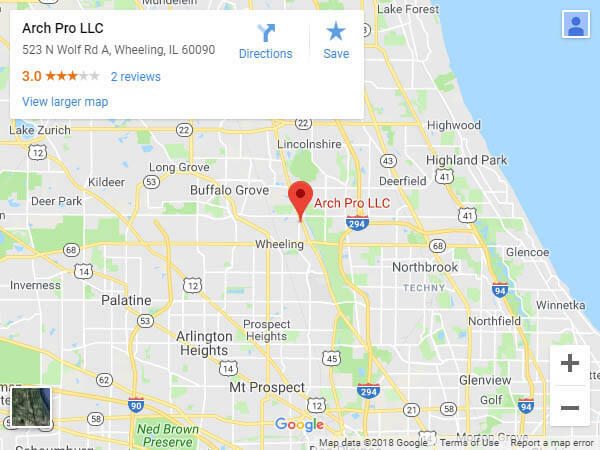 Arch Pro LLC is custom home builder serving Wheeling, IL and the surrounding area. We offer architectural insights and high-quality construction services for your custom home, addition or remodel. From the foundation to the roof and everything in between, we customize your home to meet your every expectation. Consult with us today and let us take you from initial design concepts to a beautiful, perfect build. Your home is the one space you have complete control over and the one place that should reflect your style, preferences, needs, wants and vision. If your home isn’t unique to you, and you’re looking to make a change, the remodeling contractors at Arch Pro LLC can help. As custom home builders and remodeling contractors in Wheeling, IL, we’re ready to help you design your ideal home and build it from the foundation up! Our architects will sit down with you one-on-one to discuss every little detail about the home you want, putting your vision on paper and helping to iron out all of the specifications. When we’re done, you can also count on us to oversee the complete build process, ensuring the home you’re getting is true to form and exactly what you envisioned it to be! We do more than just design and build custom homes. If you love your home but need to make some changes, count on us when you’re looking for a remodeling contractor in Wheeling, IL to transform your space so that it meets your needs. We’re equipped for home additions and extensive remodeling. Add another bedroom or kick out your kitchen—or, remodel your basement to make it a functional, enjoyable space! Whatever services you need to personalize and improve your home, we promise to deliver them. Let us put our architectural and construction experience to work for you and build you a home that’s everything you deserve. We’re licensed architects, as well as general contractors, giving us both a visionary approach and hands-on building expertise, all in one. We work with only the best subcontractors and have a trusted list of partners we’ve been working with for years. We have been serving Wheeling, IL and surrounding areas since 2000, welcoming projects of all sizes and complexities. We’ll be happy to offer you a free consultation! Just get in touch with us today, explain your vision and we’ll discuss it at length with you. As a complete design-build firm, we’re with you every step of the way for your home build, remodel or renovation! From the foundation to the roof, we do it all. From a simple modernization for your current home, to a unique design and build for your dream home, Arch Pro LLC will make it a reality! Consult with us today for building and remodeling.